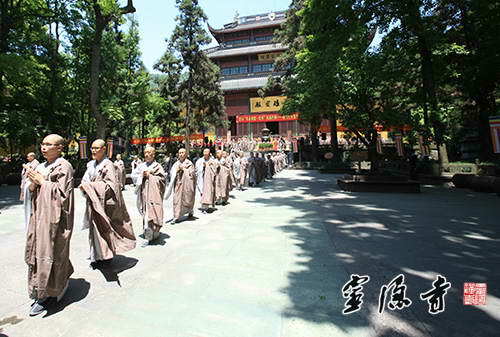 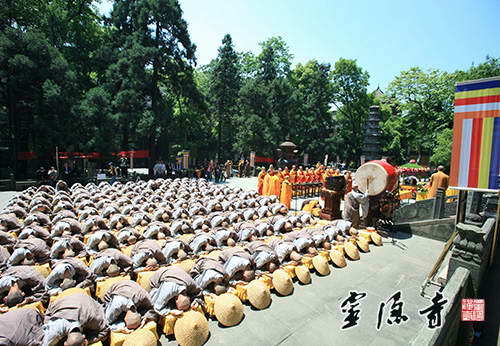 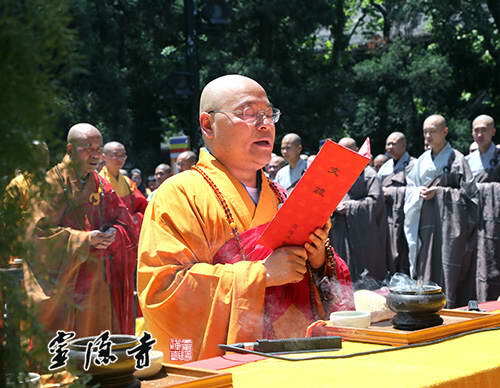 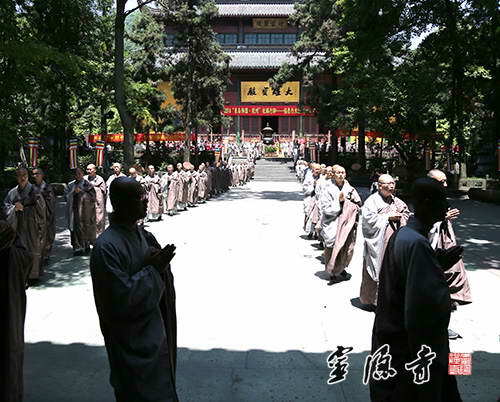 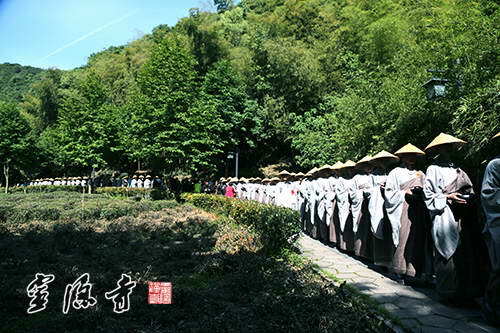 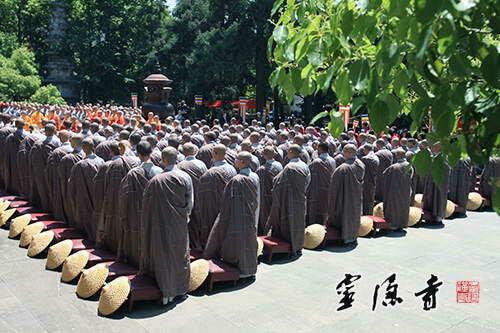 May 6th, 2014, Buddhists in Hangzhou celebrated the birth of Śākyamuni Buddha (8th day of the 4th month of Lunar Calendar), over seventy Venerables from Lingyin Temple participated in the ceremonial alms-seeking walk, a large scale charity event organized by Hangzhou Buddhist community, “World of Buddha in Southeast China (Hangzhou): Journey to Blessings and Wisdom”. 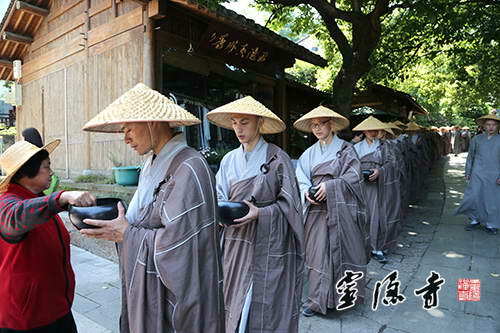 The event traditionally provides Buddhists a chance to experience the lifestyle of Bhikṣu, who roamed and cultivated on alms at the time of the Buddha. 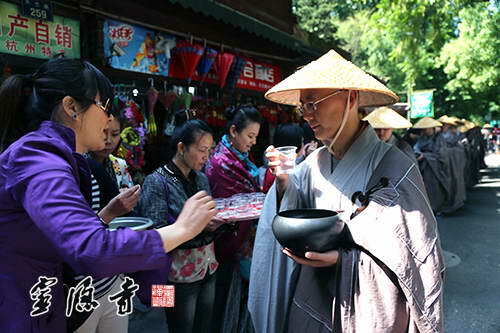 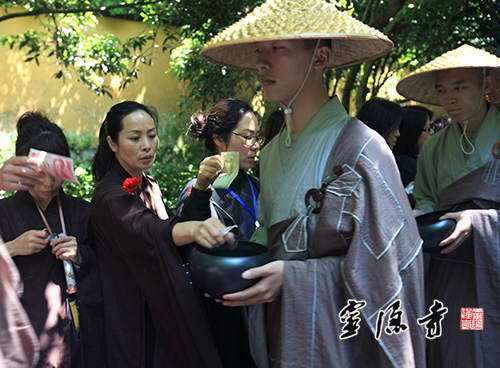 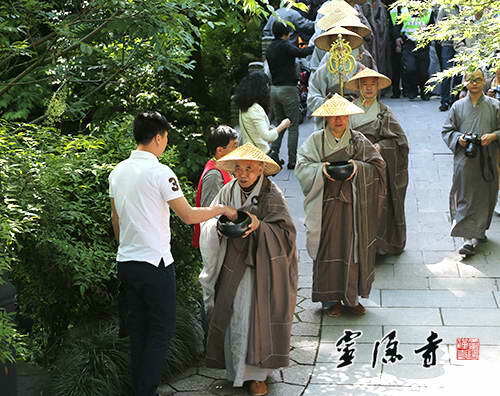 This annual alms-seeking event in Hangzhou benefits charitable public projects and this year’s proceeds of over ¥300,000 was donated to aid flood control and water treatment projects of greater Zhejiang Province. 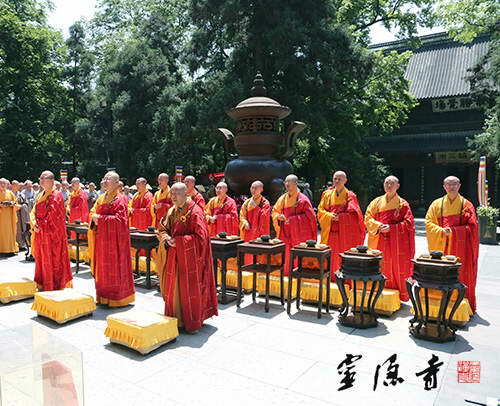 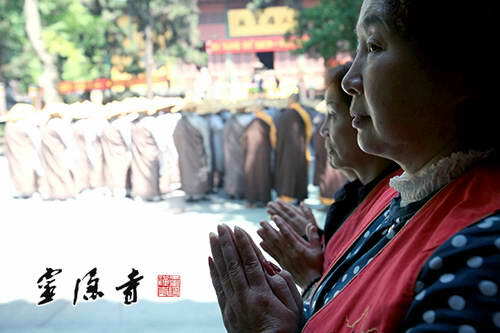 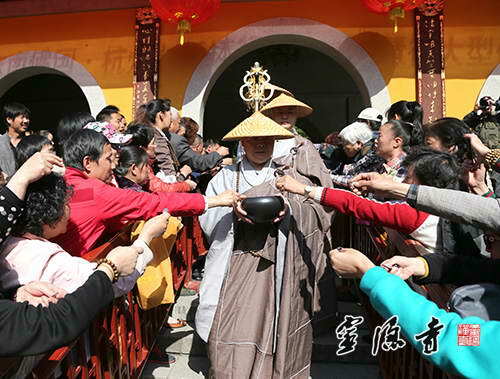 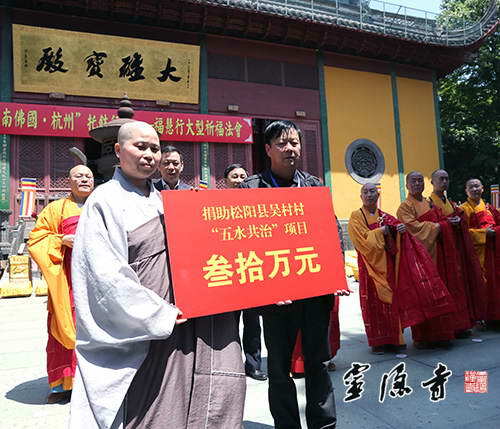 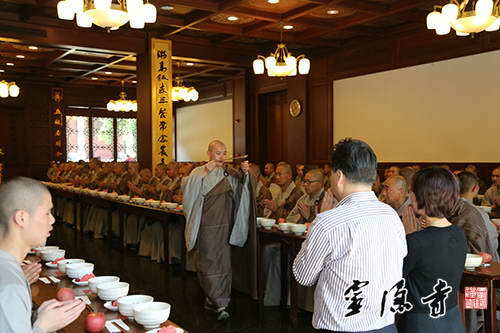 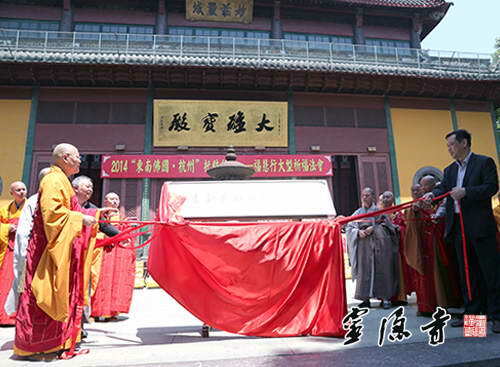 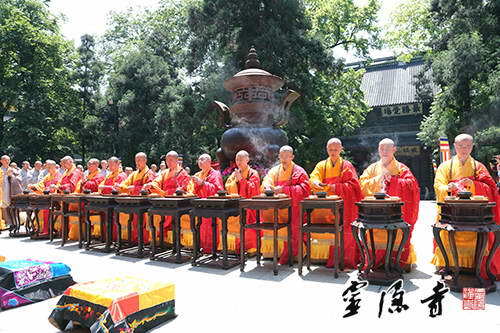 On this occasion, Lingyin Temple also unveiled the Hangzhou Yunlin Public Welfare Charitable Foundation, being part of the Temple’s continued civic contribution through Buddhist activities and compassionate beliefs. 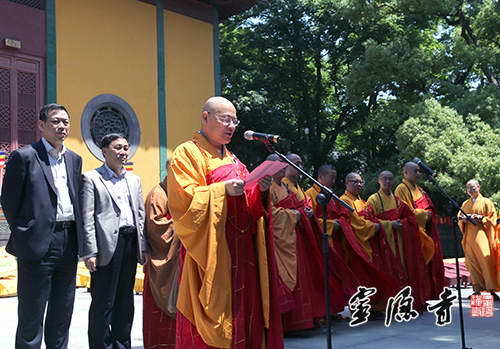 Guest speakers for the ceremony included Lingyin Temple’s Abbot Guangquan, representatives from Municipal Bureau of Ethnic and Religious Affairs, as well as Venerable Master Dingben, Vice Chairperson of Hangzhou Buddhist Association.